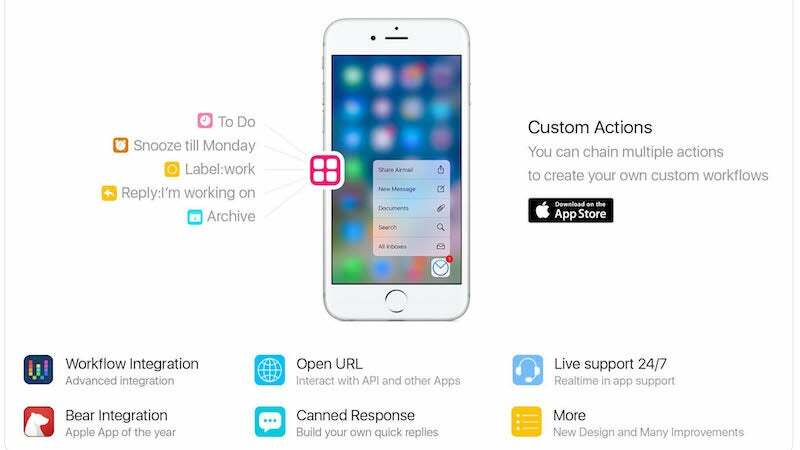 iOS: Airmail is the most customisable email app on the iPhone, and today they're adding to those customisation options with new Workflow integration and custom actions. The custom actions are perhaps the most interesting part in this update. With a custom action, you can link together or customise a number of Airmail's different features. For example, you can create an action that marks an email as read, snoozes it for a week, then sends you a reminder later, or you can do something simpler like adding a button to send messages straight to Trello. Also new in this update is integration with Workflow. This allows you to perform certain tasks a little quicker in Airmail, like stripping an email of all the cruft then saving it as a PDF. There are a lot of possibilities here depending on what you need to do. It's a nice set of new customisation options that should provide all kinds of fun new features.